Expats living in Oaxaca - And what is the cost of living? 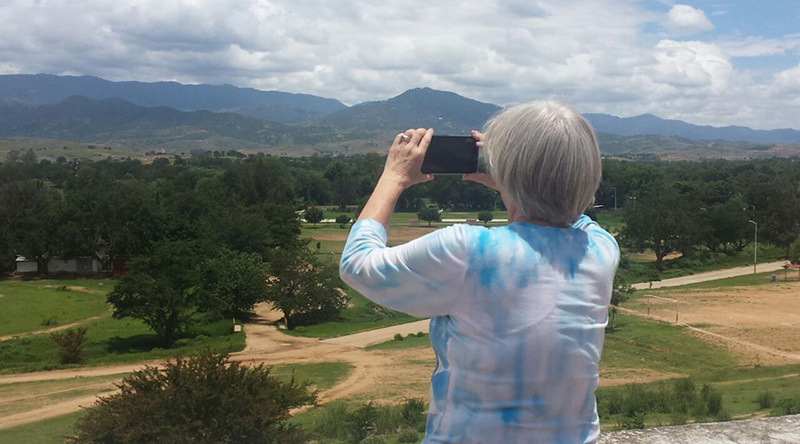 The number of expats living in Oaxaca grew by more than 1,000% in the last 25 years. According to statistics from the National Population Council (Conapo). In 1990, there were 600 American expats living in Oaxaca, 180 Central Americans -originals from Belize, Costa Rica, El Salvador, Guatemala, Honduras, Nicaragua, and Panama-, 70 South Americans – from Argentina, Bolivia, Brazil, Chile, Colombia, Ecuador, Las Guyanas, Paraguay , Peru, Suriname, Uruguay and Venezuela-, 250 Europeans and 30 Asians. Ten years later, in 2000, the immigrant population grew to 4,466. Of them, 3,281 from the United States, 194 from Central America, 95 from South America, 625 from Europe and two from Asia. In 2010, foreign immigration increased to 17,161 citizens. Among these, 15,265 Americans, 434 Central Americans, 253 South Americans, 856 Europeans and 23 Asians. For 2015, the number of citizens of other countries living in Oaxaca grew to 19,011. Of these, 16,427 American expats living in Oaxaca, 853 from Central America, 526 from South America, 729 from Europe and 101 from Asia. In Oaxaca City, you can find the Oaxaca Lending Library, an expat hangout, and small English book lending library. The library offers social gatherings and weekend conversational Spanish chats with other expats and Mexican nationals to help you improve your Spanish. For American expats living in Oaxaca, the cost of living is appealing compared to other places in Mexico with a large expat population. I have lived in several cities in Mexico and have found Oaxaca to be the best value. So my absolute bottom-line living expense is $300 USD a month, my survival needs. My total ‘Good life’ expenses are $700 USD per month, although I can live comfortably on half that. I also do a lot of travel around Mexico and take weekend trips about 2 weekends every month, add another $400 USD to the entertainment jar. That is $1100 USD monthly for a nice 2 bedroom apartment, all utilities, food, a pretty active social life and two-weekend trips every month. In contrast, places like Mexico City I was spending $1000 USD a month just on my basic living, no entertainment or travel. In Guadalajara, I spent about $700 USD, and in Puerto Vallarta $900 USD, those are all just my rent, utilities, and food, no entertainment costs. In Oaxaca, the basics are $300. To meet my goal I do give up some luxury items that most Americans consider a necessity. I don’t have air conditioning, it’s not easy to find a home in Mexico with air conditioning, it’s not common because electricity usage is very expensive. In Mexico, you receive a block of kWh of electricity really cheap, and most people stay within that usage and pay about $10 USD a month for electricity. However, if you exceed that block of usage you can receive an electric bill that equals $500 USD a month. I learned the hard way and that ended my air condition usage very quickly. I also don’t have a television or cable, although with the internet that probably is becoming more common for most households. I don’t buy any ‘junk food’ and I don’t eat any fast food. Mexico pricing is much different than the USA. Here, healthy foods are the cheapest and junk foods are expensive. It’s a special occasion to eat fast food. I don’t have a car, and I don’t recommend owning one in Mexico. No one has insurance so you are screwed in an accident. Gas is more expensive than in the USA. And to be honest, the drivers in Mexico are horrible, streets are not clearly marked, intersections don’t have stop signs or traffic lights, without warning there are speed bumps in the middle of the highway, among so other maddening things about driving in Mexico. Public transportation is cheap and easy to use, and available in the smallest cities. I travel a lot in Mexico and have always been able to reach any destination I wanted using public transport and much cheaper than the cost of maintaining a car. Not owning a car in Mexico is common.